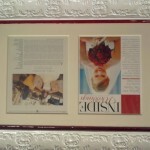 Our archival newspaper and article framing will let you preserve and enjoy your clips for years to come. If you’ve ever clipped an article out of a newspaper or magazine and tried to save it, you know how quickly these kinds of low-quality paper can deteriorate. They can get faded, yellowed, rippled, brittle, and eventually crumble into dust. …you invest in professional newspaper and article framing from Allan Jeffries Framing. At Allan Jeffries Framing, we specialize in museum-quality fine art framing, a process which is intended to protect precious artworks against the ravages of time. The same principles we employ in fine art framing of works on paper can also apply to newspaper and article framing. Specifically, we will ensure that your newspaper or magazine clips are protected with acid-free, archival mats and mounting boards as well as UV resistant glass or plexiglass. We stock some of the top archival mats on the market including 100 percent cotton Crescent Rag Mat and Bainbridge “Artcare” mat. These mats will not degrade or produce acidic compounds over time. They will also protect your clips from contact with anything acidic in the frame or backing that could cause damage. We also have a variety of types of glass and plexiglass to choose from, including options providing up to 98 percent UV protection to guard against sun damage. Of course, you don’t just want your newspaper and article framing to work well, you also want it to look amazing. Fortunately, we have a huge variety of frames to choose from. While your clips might fit into a readymade frame, it is more likely that you will need a custom frame and a custom cut mat to suit the unique dimensions of the article. You can absolutely trust our frame artists to help you pick out the right frame for your tastes and budget and then painstakingly craft it to your exact specifications. 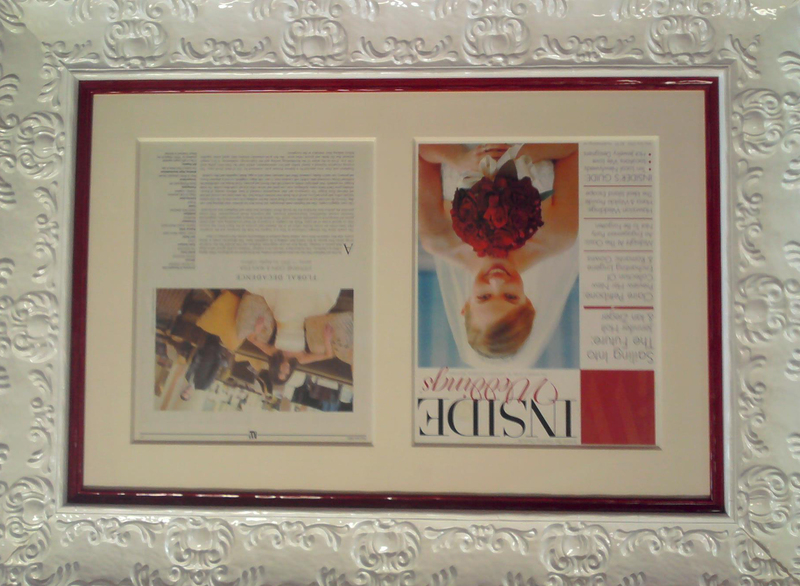 Our work on custom frames is always guaranteed so you know you will love your finished newspaper and article framing. If you have further questions about archival newspaper and article framing, please give one of our frame shops a call or visit us in person to chat with a friendly and knowledgeable staff member.